Keen to go exploring after soccer practice, the boys of the Wild Boars soccer team ignored the sign at the cave entrance warning visitors not to enter during the monsoon season. What ensued was a high-stakes international mission which very nearly didn't succeed. The ordeal rivet... read full description below. Keen to go exploring after soccer practice, the boys of the Wild Boars soccer team ignored the sign at the cave entrance warning visitors not to enter during the monsoon season. What ensued was a high-stakes international mission which very nearly didn't succeed. The ordeal riveted millions around the world. First came the awful news that twelve Thai boys aged 11 to 16 and their young coach were missing. Then the flickering video of the huddle of anxious and hungry boys found by a pair of British divers nine days later. But the most difficult part was yet to come. Monsoon rains had raised the water level in the cave system, and the 13 were caught in an air pocket, surrounded by rising muddy water, nearly four kilometres from the cave entrance. None of them knew how to dive. Expert Australian, British, American, Chinese and other international divers joined the Thai Navy SEALs and hundreds of local volunteers to mount one of the most risky and complex rescue operations the world has ever seen. Australian doctor Richard Harris and his dive partner Craig Challen were among the last out of the cave, 18 days later. 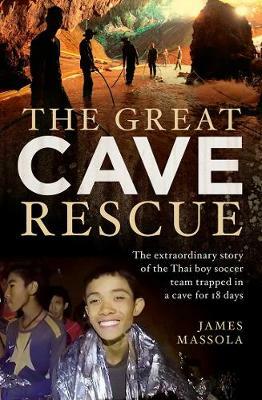 This is the complete story of the remarkable rescue at Tham Luang cave.